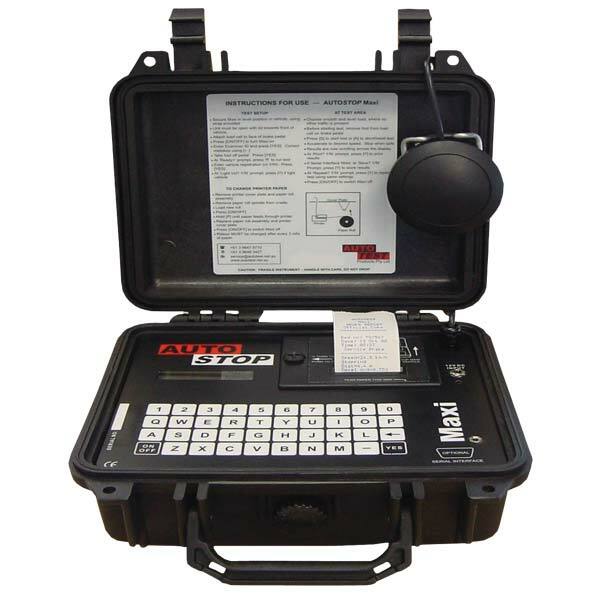 The AutoStop Maxi® Brake Meter is an efficient diagnostic and compliance tool, designed to test service and emergency brakes in passenger cars, light and heavy goods vehicles, buses, light and heavy rail vehicles and transit vehicles. Calculates and displays average/peak deceleration, stopping distance test speed and pedal effort. Uses AutoTest Standard Paper Pack.